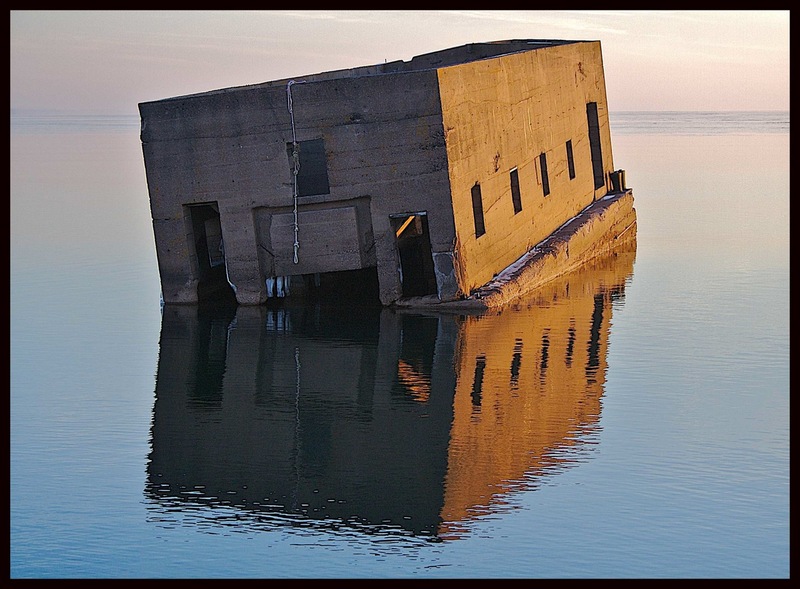 In my two visits to Duluth and the must-see area of Canal Park, I've always wondered what, exactly, this concrete structure is that sits not far off shore. The calm waters make this setting that much more surreal. I vaguely remember my grandfather telling me that those were connected to underwater tunnels that were used for offloading ships. Apparently there were crazy tunnels throughout Duluth that as a boy he would skip school and wander through with his friends. Interesting to know. I know I heard at one time exactly what this structure was but the tunnel info is pretty cool. Are the tunnels still accessible?